Bio: Jiawei Li is fluent in Spanish, Italian, French, Portuguese, German, Chinese, Yiddish and English. During college, he studied Archaeology in Veracruz, Mexico, focusing on Aztec calendar and codex interpretation. Jiawei received his two-year M.A. from Johns Hopkins University SAIS specialized in Emerging Markets and Finance. 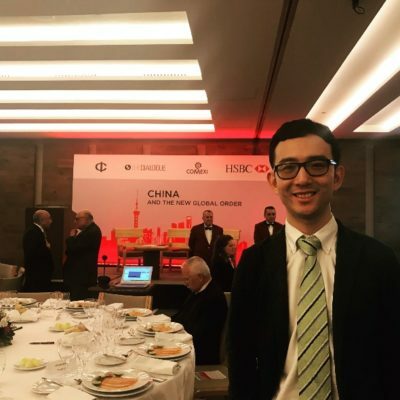 After spending his first year of the masters program at SAIS Europe in Italy, he served as Summer Analyst at Moody’s Investors Service in Mexico City, covering ratings for emerging markets including China, Mexico and Brazil. He also worked as Project Researcher at the Inter-American Development Bank. 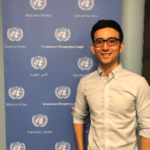 Jiawei is passionate about development financing and has been working at a venture capital focusing on impact investing. Currently, he works as Project Analyst at the United Nations Office for Project Services. During his spare time, Jiawei enjoys playing water polo, swimming, travelling and dancing salsa. He is also a volunteer at the DC LGBTQ center. 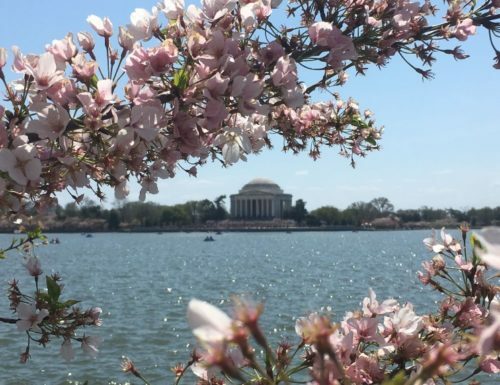 April is a busy month for DC with the cherry blossom festival and the IMF-World Bank spring meeting. The cherry blossoms are one of the most beautiful happenings in DC and ISH is in the perfect location to enjoy them! My fellow housemates and I usually take a nice walk along side 19th Street or 18th Street, pass the White house and reach the tidal basin. On weekdays, we walk so fast for work or study, and never really have the leisure to enjoy the views on the street. The beauty of DC in spring is beyond words. The picturesque streets and architecture mixed with the cultural vibes make downtown Washington the most attractive place. From far way, we saw the fluffy pink cherry trees around the National Mall and Tidal Basin. It is a symbolic flower of the spring, a time of renewal, and the fleeting nature of life. 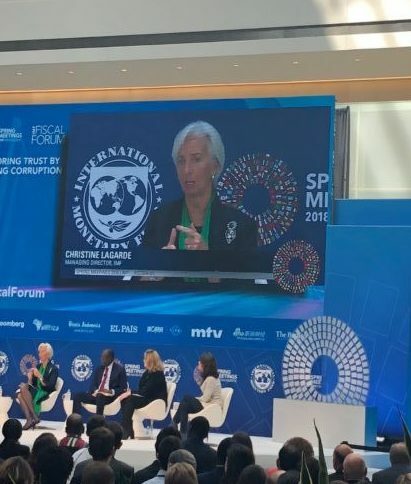 In addition, the IMF-World Bank also held its annual Spring Meetings in April here in DC. Government officials, press, NGOs, academics from all around the world descended upon Washington to join the meetings. Many important messages about global economic development were conveyed through the meetings. I attended several interesting seminars and forums about how technology and innovation is changing the future of global economic development. Whether technology and innovation can help the least developed countries skip the industrialization remains unknown, but our generation is in the position to make the change. Spring is an incredible time to be here in Washington and enjoy all it has to offer with my fellow ISH housemates! In January I made a trip to Mexico as a one of the scholars at Inter-American Dialogue, one of the leading U.S. center for policy analysis, exchange, and communication on issues in Western Hemisphere affairs. 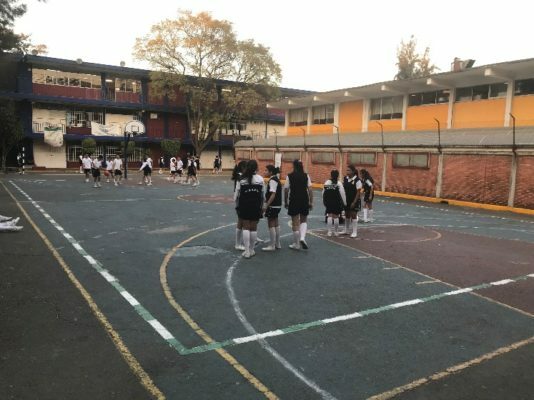 As part of the trip, I participated in private and public meetings with government officials as well as business leaders in Mexico and was invited by the Mexican Ministry of Education to visit a public high school which is under education reform. As I mentioned before, I used to study and worked in Mexico and this is the fourth time that I have gone back. I feel very fortunate and grateful that I could develop such a special and strong tie with the people and culture in Mexico, get involved with the dynamics and contribute my knowledge and expertise to solve the development issues there. 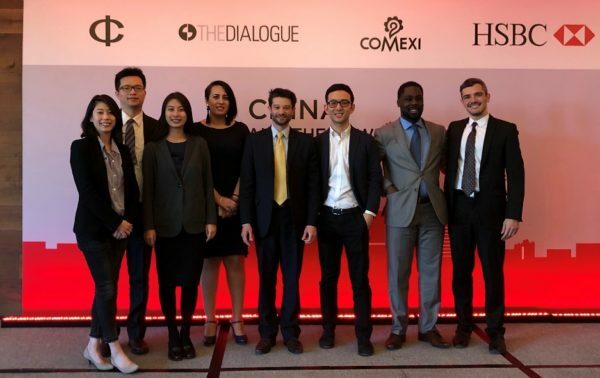 This time I joined the cohort of eight scholars and together we aimed to understand the infrastructure financing dynamics and China’s future role in the region. I have to say that I’ve never felt so important being a Chinese! 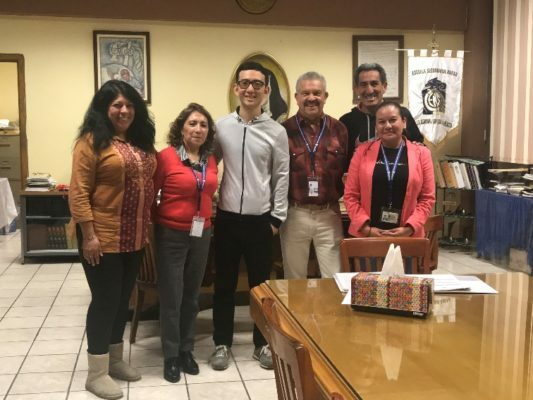 After the conference, I was invited by Mexican Ministry of Education to visit a high school. I was introduced to the teachers and the principal there and they gave me a thorough presentation on the on-going education reforms in the high school and how these public schools support the daily life of working-class families. This experiment high school implements two timetables for the students: morning and afternoon schedules. Each schedule of 12 hours is filled with academic class, workshops and sports classes. The long schedule, according to the teachers, allows parents to focus on their work while their kids are getting a variety of training. In addition, the conversation with the teacher union caught my attention in terms the labor reform for the teachers, which greatly changed the hiring process and cut the benefits for high school teachers. I believe that the education reform in Mexico could be a very research topic in the coming years and I will closely follow it. Now it is time to go home to ISH and I cannot wait to see my housemates and share about my time in Mexico. More detailed reports and papers will be published by the Inter-American Dialogue. You are all very welcome to check out the work when it is published! One of the benefits of being an ISH resident is the opportunities to attend cultural events, including concerts, musicals and art shows, thanks to the connections of our ISH community. 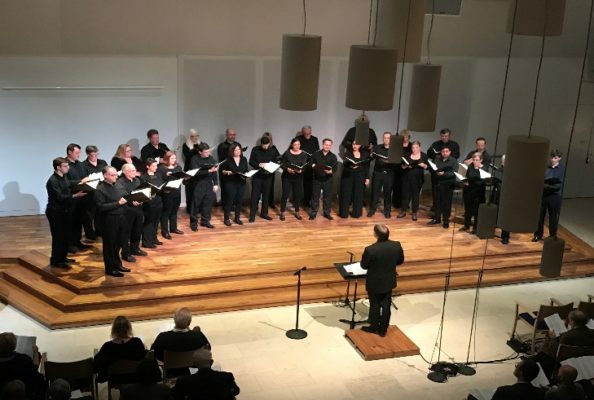 In November, ISH offered tickets to several amazing concerts at The Choral Arts Society of Washington, as well as a concert at the Mexico Cultural Institute just up the street from the House, thanks to the Embassy Series. I was lucky to attend the concert “In the Land of Northern Lights” together with other ISH residents. Soon the magic began as Artistic Director Scott Tucker and the Choral Arts Chamber Singers took us for a musical tour of Finland, Norway, and Sweden. 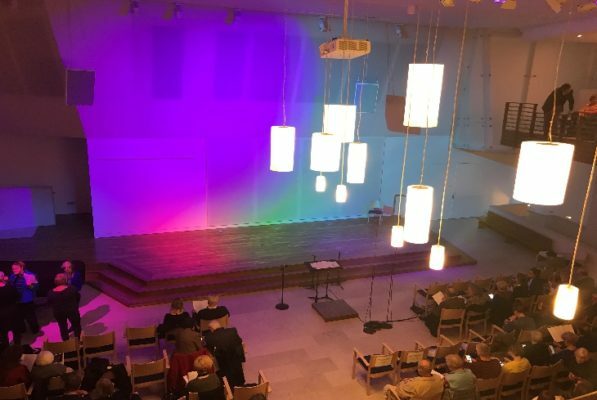 This a cappella concert featured Finnish folksongs as well as music by Sibelius, Rautavaara, Gjeilo, Sandström, and more. For most of us, it was a first to attend a choral concert and we were amazed by the stunning team collaboration and top-notched choral skills. Another unforgettable art experience was the Embassy Series concert “Paisajes Sonoros” at the Mexican Cultural Institute. The Embassy Series is a wonderful member of our ISH community. 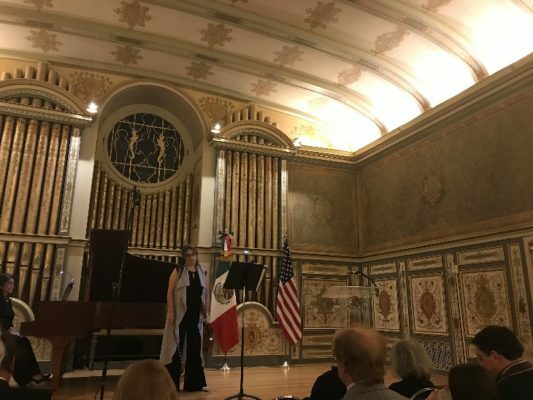 The concert was held at Mexican Cultural Institute, the former residence of the Ambassador of Mexico to the United States, with beautiful murals and decorations. 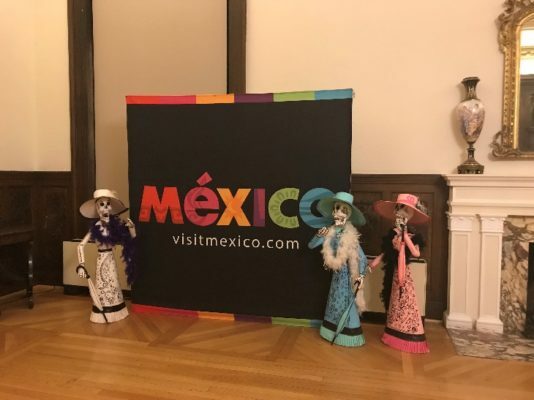 We had a chance to meet with a famous Mexican artist and enjoyed a musical interpretation of the Mexican sceneries throughout time and space. The artist used western musical instruments to present Mexico traditional music, such as the music used for prehispanic rituals, the music from the Mexican rural area, and the warmth of the Mexican people. 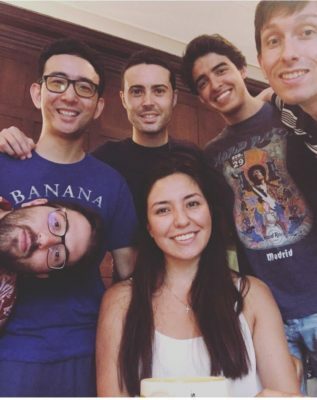 As I used to live and study Anthropology in Mexico, I was able to connect with the music and the story behind it and I was very impressed by the idea of combining prehispanic culture with western music. There was a reception after the performance, and I had a chance to talk one-on-one with the musician, where my Spanish came in hand, which helped quickly establish a base for conversation. Throughout the conversation, I learned more about the story behind the music, what message the music tried to convey. At that moment, I felt the power of music that transcends borders and countries and cultural barriers, just like our home at International Student house here in DC. After having a great experience at ISH from 2015-2016 as I studied at Johns Hopkins SAIS, I choose ISH again as my home in DC. Even as a returning resident, I still feel excited about my life at ISH, nervous about my new roommate, and happy that I am back. There is no foreign language at ISH! 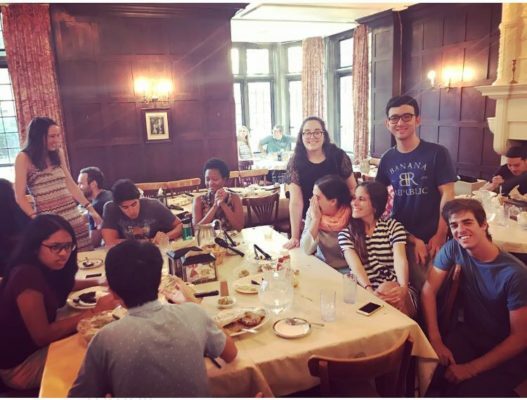 At international student house DC, there are residents from all over the world, for example, Spain, Italy, France, Germany, India, the US, and how do people communicate with each other? It is true that everyone can speak fluent English as most of the residents are studying, interning or working in DC. However, at the same time, people enjoy speaking, hearing and practicing another language, such as French, Chinese, Spanish, German, etc. At ISH, there is no foreign language, no foreign culture. Every one of us is a member of the unique family and every one of us contributes to the unique culture at ISH. 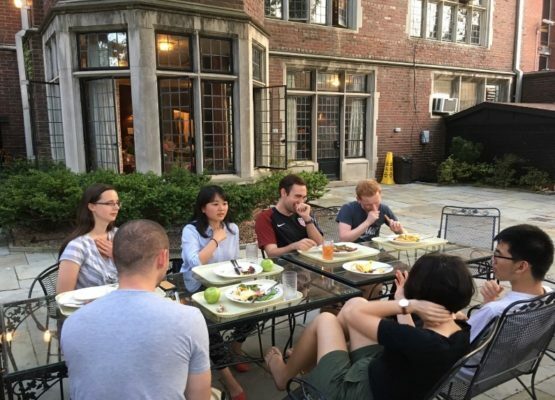 At dinner time, in addition to inspiring talks on international relations, we can also hear different perspectives on food culture, clothing culture and living culture. It is so much fun to hear about different customs in different countries. For a returning resident, what more to gain from the experience? Many people might be curious and ask me “Jiawei, you have lived here for a year and you know everything about ISH, what else can you gain from the experience?” My answer is that there is always something new at ISH. Maybe the menu of the food stays the same, but there are always new residents or returning residents coming from everywhere, new events and activities at ISH DC and new ideas about life. Hence, even for a returning resident, I find it fascinating to meet new people, get to know their stories and make new friends. If you have any question about the life at ISH DC, feel free to contact me at [email protected] and I will post the answers here on the blog.